With James and Evelyn both being total water babies it goes without saying we spend lots of time at the pool! I also love swimming and remember loving swimming lessons as a kid and even did some life saving skills badges! James now swims 3 times a week with his swimming club, whilst Evelyn swims once a week for her swimming lessons and we try to swim on a weekend as a family just for a bit of fun. Therefore I am always on the look out for good quality swimwear that is not only stylish but long lasting and that provides a good fit too. When I recently came across Simply Swim, a leading online swimwear retailer who stick the biggest brands at amazing prices for men, women and kids including Speedo, Zoggs and Arena, I couldn't wait to try some of their ranges out! Firstly I headed to the kids section (boys in particular) since James swims so often I like to have several pairs of shorts on hand for him in case I can't wash them quick enough or they break etc. The swim club he swims with says that boys shorts should be tight and well fitting to make sure they don't drag in the pool and of course so they aren't falling down or being pulled up whilst swimming! 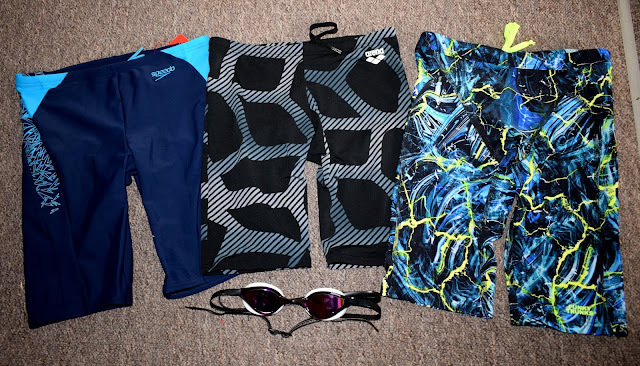 Simply Swim has a huge range available for kids and I was so surprised at just how much choice they had for James to choose from that complied with what the swim club ask! Usually lots of the boys shorts in shops are the baggy/board shorts style so he was in his element and picked out three funky new pairs of shorts. He was pleased with all three pairs when they arrived and couldn't wait to try them on. They all fit well and all pairs had the hidden drawstring fastening on the inside the insure they stayed put and felt comfortable during swimming sessions and gala's. As you can see some of the pairs James chose have a pretty funky pattern on and I was worried this would fade what with being worn and washed so often. However its been a few weeks now of him wearing them multiple times and every pair look as good as new. There is no fading or discolouration and they have retained the shape really well. After James had such success at picking new swim shorts I hesitantly decided to search for myself. Now I say hesitantly because I can never find swim suits that are flattering or that fit properly. I am plus size with a very large chest size (40H) and so as you can imagine finding swimwear that fits properly is a nightmare. Unlike lots of sports style shops I was super surprised to discover Simply Swim had a great plus size range and they were actually really pretty costumes too. I ended up choosing the Halocline swimwear Nancy longer length swimsuit (£37.00) in the beautiful "Mulberry"colour design. I really liked the wide straps on this and that the top part of the swimsuit came up higher than normal. It was still low enough to feel comfortable and not restricted but high enough to cover everything I wanted covering and I felt secure the whole time I was swimming in this suit. This swimsuit has lots of great features including being chlorine resistant, resistant to sun creams and oils as well as offering UV protection. It also is made from a light control fabric offering a great fit and final look. It has some light bust lining which offers that extra bit of control which makes you feel really secure even when swimming quickly. This swimsuit is slightly longer than your average costume and has an extra 3.5cm in length so if perfect if you are slightly taller or have a longer torso. 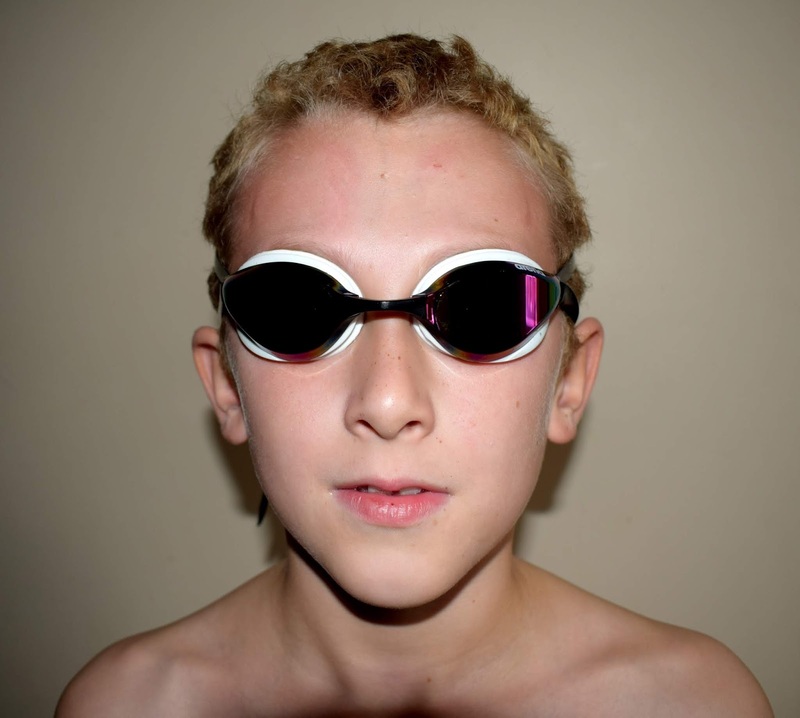 When James spotted that Simply Swim also had a huge range of goggles he was desperate for me to let him choose some fancy new ones, bribing me with the fact he worked so hard and came first in his very first gala race a few weeks back! He has been wanting some of the "racer" style googles that lots of the older kids have and Simply Swim had lots to choose from at great prices so I of course couldn't resist saying yes. He chose the Arena - Python Mirror Googles in white with a rainbow mirror affect on the lens. These googles also have a self adjusting nose strip and dual strap to make sure they provide the ultimate fit. I have to admit these took a little more fiddling around with than James previous goggles to get the right fit. However once we found the fit they were great, they stayed on the entire swimming session and provided great protection for James eyes in the water. They also didn't leave the awful ring marks around James eyes that his previous goggles did! We really cannot fault Simply Swim or any of the products we have received from their website. The website was easy to navigate meaning we found everything we needed with ease. We were so happy with all of the swimwear we received and have worn each piece several times and it all still looks as new. You can really tell that these products are amazing quality in how they feel and fit, with that in mind I will definitely be returning to Simply Swim for all our swimming needs in the future knowing I can shop with confidence. Do you or your little ones love to swim too? If so do head over and check out the full range and brands available at www.simplyswim.com. I have bought a costume from Simply Swim before and really like it. You got some nice items. He looks great and love the goggles! These look great. 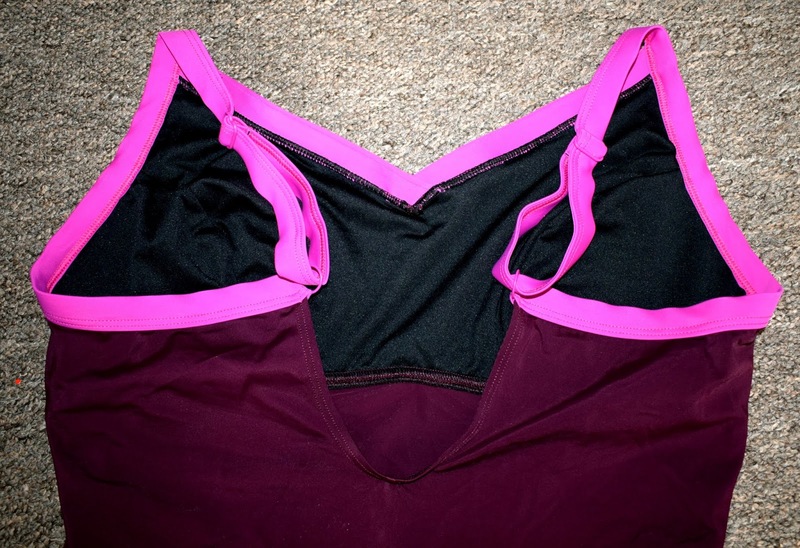 I had a swimming tankini from Simply Swim a few years ago. I loved it, it was great quality and it lasted me year, I used it regular too.